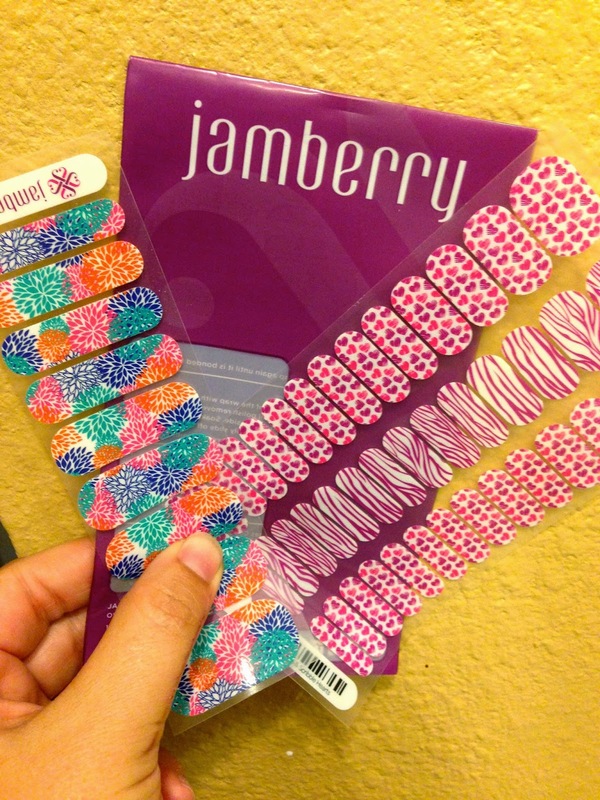 Are you one of those people whose Facebooks have been inundated with Jamberry parties? No, just me? Impossible! It seems that if your friends aren't selling them, they know someone that is and is having a party! It so happened that one of my friends decided to sell them and offered me a set for Lucy and I to try out so I could review them for you! And even better, she offered to give a set away to TWO of my readers! Amazing right? Well keep on scrolling, you'll find the Rafflecopter at the bottom of this post and on your way you will see fancy Lucy and her fancy nails! These little nail wraps were pretty easy to put on. You just have to measure up your nail to what size wrap you need. Then you use a hair dryer to heat them up. When they are warm, you press them down onto your nail and then put the hair dryer on them again for another 5 seconds. When they are all pushed down you just need to cut off the extra and lightly file the end. I found them to be pretty easy. And Lucy sure did love them if you can't tell! A few things that I learned while putting these on, little kid's nails are oiler than most adults, so you have to make sure that you use rubbing alcohol to really clean the nail area otherwise they will come off within a day or so. As long as you follow the steps properly, these should stay on for a couple of weeks. I don't find this to be the case with my daughter, mostly because she is a picker and a nail biter and within a week she had pulled them all off. I really like how there are a TON of patterns and colors to pick from. And I also saw that in the Silhouette store, people are submitting patterns that they have created themselves. Oh and you can do that too, make your own personalized patterns! I am not sure if I like using the Jamberry nail wraps more than just using Gelish, but the idea is the same, they last for a couple of weeks and have a hard coating. Jamberry is also cheaper than Gelish, so that's a plus. Anyway, you ready to win a set for yourself? Well, enter below! i love the vintage chic ones! 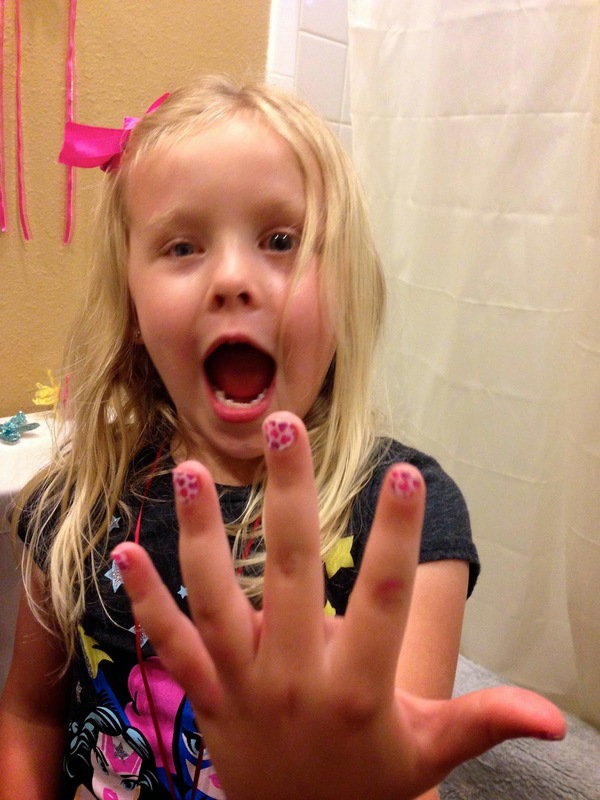 My daughter LOVES Jamberry! 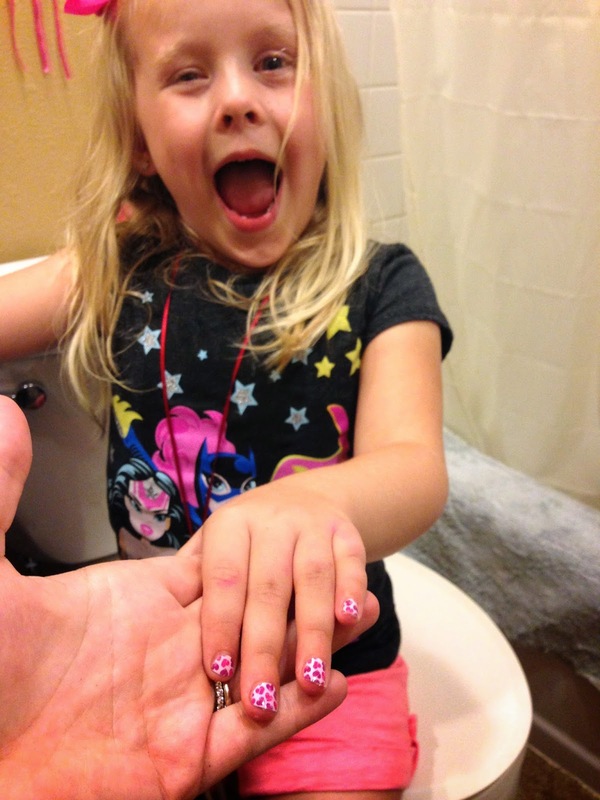 She's hard on her hands, even for a second grader, and these last so much longer than regular polish! Sommer is always wanting me to paint her nails but it usually never happens because she picks at it right away. I haven't heard of these!! Look pretty cool though!! And I forgot to add that I love the "what a hoot" design!! These are SO cute!! Mint green and gold, please! I like Teal Mini Polka! I love nail wraps! I'll have to check these out! I'm loving the punchy puff! There are so many cute ones to choose from! I would have to go with Nautical as being my absolute favorite, but I def want to get the volleyball set for my girls!